I think the Peeps cake was kinda cute. Weird to put the Peeps heads on bride and groom figures, but still, kinda cute. 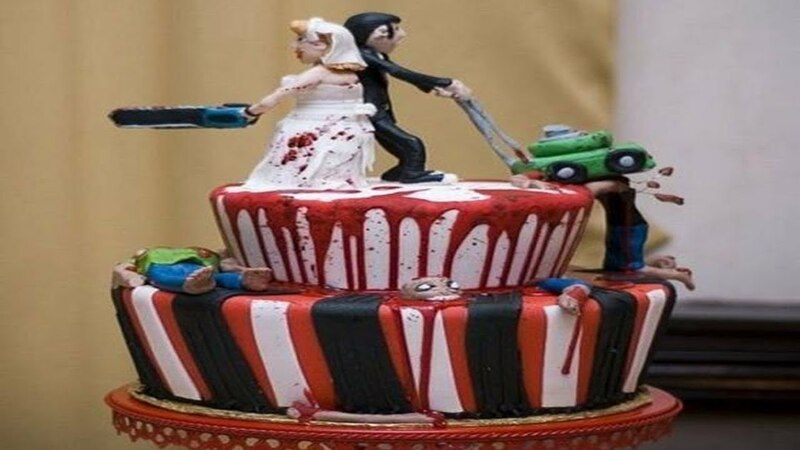 The title for this video must be: Creepiest wedding cake!!! Look at the ego on that bride! Maybe like 2 or 3 of these cakes were actually good. The raibow gay wedding cake was amazing… it is hard for me to believe you did not like the cake its more you did not like the fact the got married! Guess what there is nothing you can do about it!!! what was so bad about 2:05??? The deer cakes are amazing what are you talking about? Why is the Cake in minute 2:08 there? I really like this wedding cake!